Fight an exciting penalty duel, right by the beach at the Copacabana. Don't let the sunshine and the ocean distract you. Beat the keeper by scoring more goals than he deflects within three minutes. If you have more goals, you win! 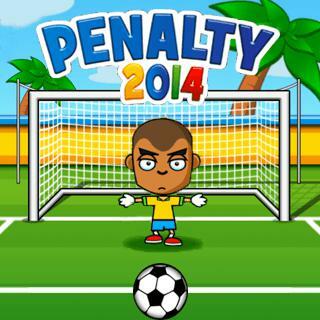 Penalty 2014 - Find Penalty 2014 in our vast HTML5 games catalogue. Only the best and newest HTML5 games for all audiences. Guaranteed success with Famobi.